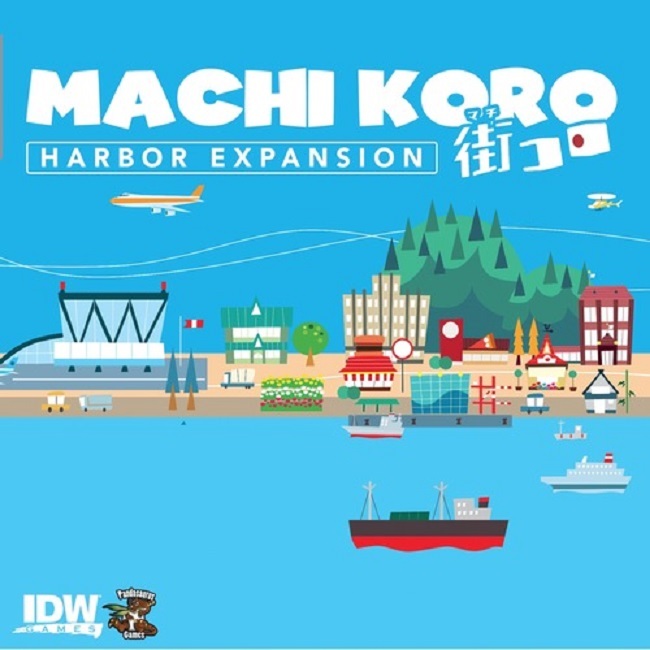 Machi Koro is a game for 2-4 players. 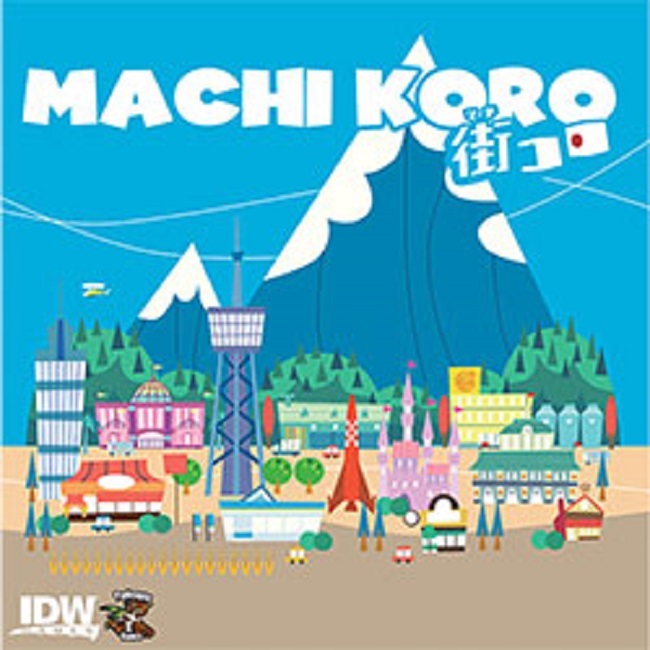 Each player wants to develop the city on his own terms in order to complete all of the landmarks under construction faster than his rivals. 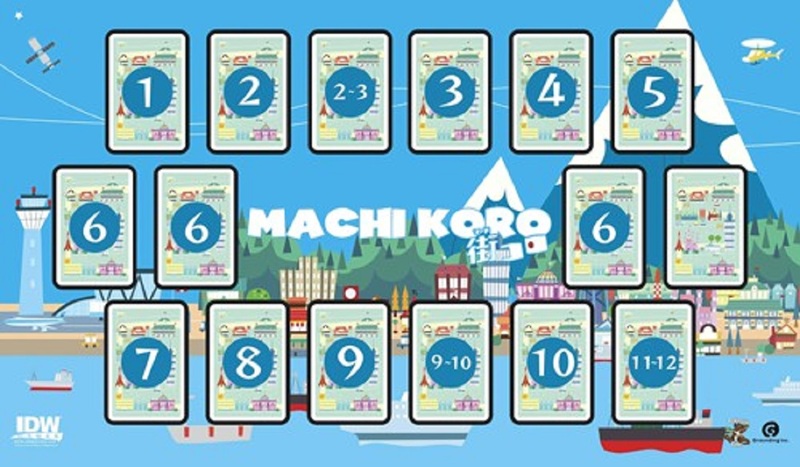 On his turn, each player rolls one or two dice. 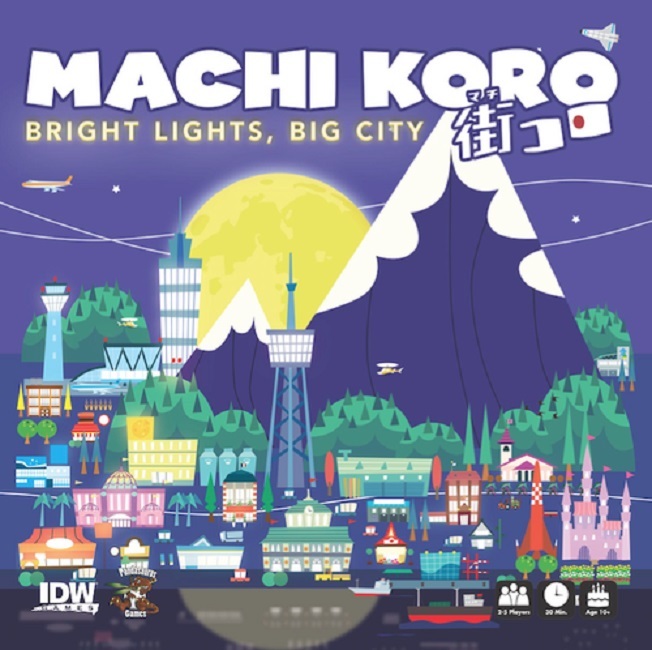 If the sum of the dice rolled matches the number of a building that a player owns, he gets the effect of that building; in some cases opponents will also benefit from your die (just as you can benefit from theirs). Then, with money in hand a player can build a landmark or a new building, ideally adding to the wealth of his city on future turns. The first player to construct all of his landmarks wins! 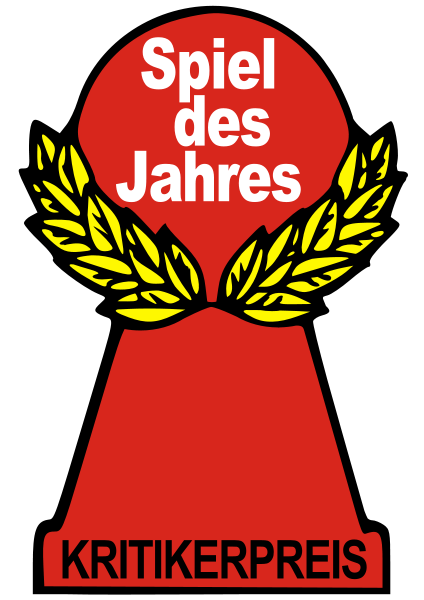 Nominated for 2015 Spiel Des Jahres.